Is FEAR standing in the way of your visual freedom? 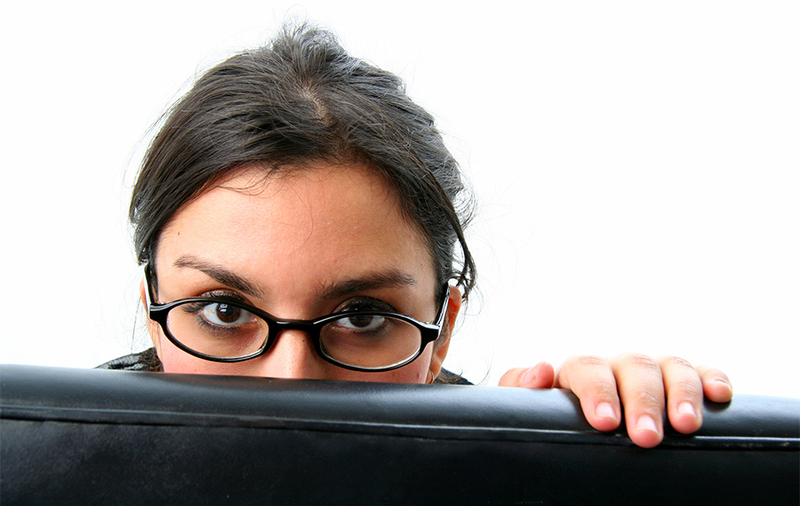 Fear is still the main reason LASIK candidates remain dependent on their contacts and glasses. As with any surgical procedure, LASIK surgery side effects and complications can occur. With an experienced surgeon, a well-educated LASIK eye surgery candidate, and the advanced laser technology available today, it is possible to ease fear, minimize LASIK eye surgery risks, and achieve visual freedom! Between 40%-90% of contact lens wearers do not properly follow the care instructions for their contact lenses.† Studies show LASIK could be a safer alternative to contacts! With the technology available today, there has never been a better time to have LASIK! The iLASIK all-laser technology customizes a laser treatment taking into account all the unique aspects of your vision producing the best vision possible. This amount of precision and customization reduces LASIK surgery side effects and minimizes LASIK surgery risks. The first LASIK procedure was performed 27 years ago. Originally, the LASIK procedure used a blade, or microkeratome, which accounted for many of the potential LASIK surgery side effects and potential surgery complications. Today, the two-laser approach of the iLASIK procedure improves the safety of the procedure by using a laser instead of a blade to create the corneal flap following with a second laser for the vision correction treatment. In addition, WaveScan technology allows a 3D scan of your eye to be taken detailing a customized laser treatment plan with wider treatment zones. The clinical studies of the iLASIK technology prompted NASA and all branches of the US military to allow the procedure for their servicemen and women. The technologies used in the iLASIK procedure have been used in more than 15 million procedures worldwide. Ninety-four percent of iLASIK patients see 20/20 or better and 100% of patients drive without the need for vision correction. Experts agree the danger of developing a vision-threatening complication from improper care or overuse of contact lenses over time is more likely than potential LASIK surgery risks occurring. Improper hygiene and over wearing or not replacing lenses as scheduled are two of the most common misuses of contact lenses that can cause serious eye infections. Visit WebMD: LASIK Safer Than Contacts? 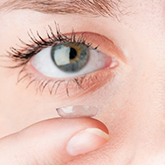 to learn how past studies have shown LASIK surgery could be safer than contact lenses. In addition to owning the lasers used for LASIK, Eye Care Specialists also employs a VISX-certified laser engineer to ensure optimal laser care, calibration, and performance. Gerald has received the same training as the service technicians of VISX lasers. This level of maintenance further reduces LASIK surgery side effects and LASIK surgery risks and provides the best, most uniform results possible for our patients. What Are LASIK Surgery Side Effects? Technological advancements over the past two decades have greatly reduced LASIK surgery side effects. However, although LASIK is one of the most common elective procedures, it is still a surgical procedure. As with any surgery, it is important to know the risks, benefits, and potential laser eye surgery side effects. 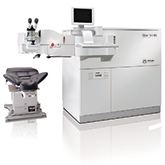 The iLASIK procedure utilizes the advanced WaveScan CustomVue measurements. This 3D “fingerprint” of your eye is 25 times more detailed than standard LASIK measurements, and the measurements used for your contacts and glasses. This offers crisper, sharper vision with less incidence of night glare and haloing. The IntraLase laser used to create the corneal flap, creates a thinner flap reducing post-operative dryness and allowing for treatment of stronger prescriptions. These advancements help minimize potential LASIK surgery side effects. Dry eye can be treated post-operatively if necessary. Poor nighttime vision is a laser eye surgery side effect from the original procedure; the advanced WaveScan technology available today greatly improves nighttime vision. Patients use an antibiotic after surgery to prevent infection. A retreatment may be performed three months post-operatively for vision adjustments. I want to know every step of the procedure. Factors to consider when choosing your surgeon. † “Healthy Contact Lens Wear and Care Fast Facts.” CDC Centers for Disease Control and Prevention, Web. Jan. 22, 2015.